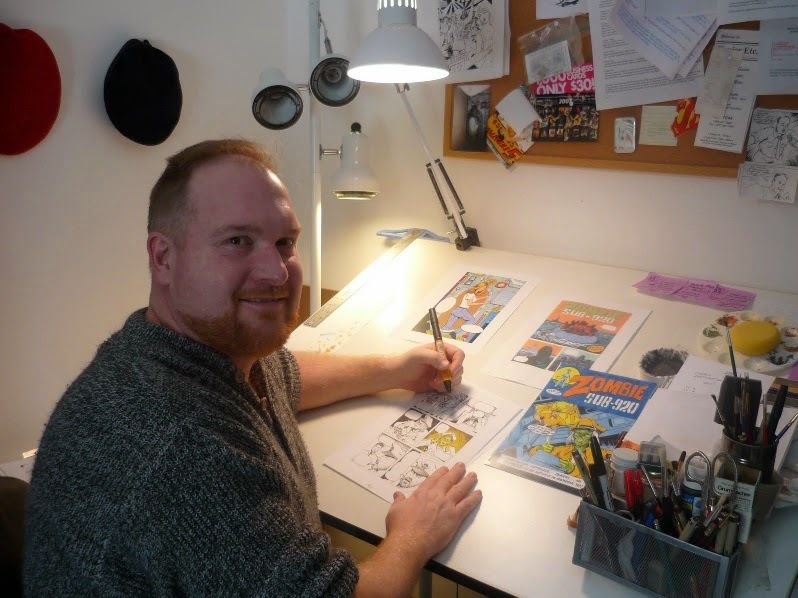 Michael Mitchell is a cartoonist living in New Hampshire. 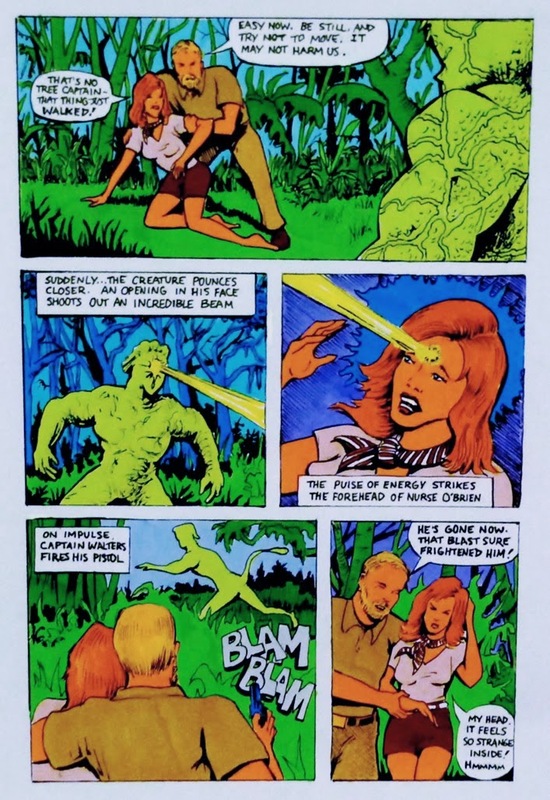 I first discovered his work through his Facebook page and was immediately drawn to his retro 70's comic book style. 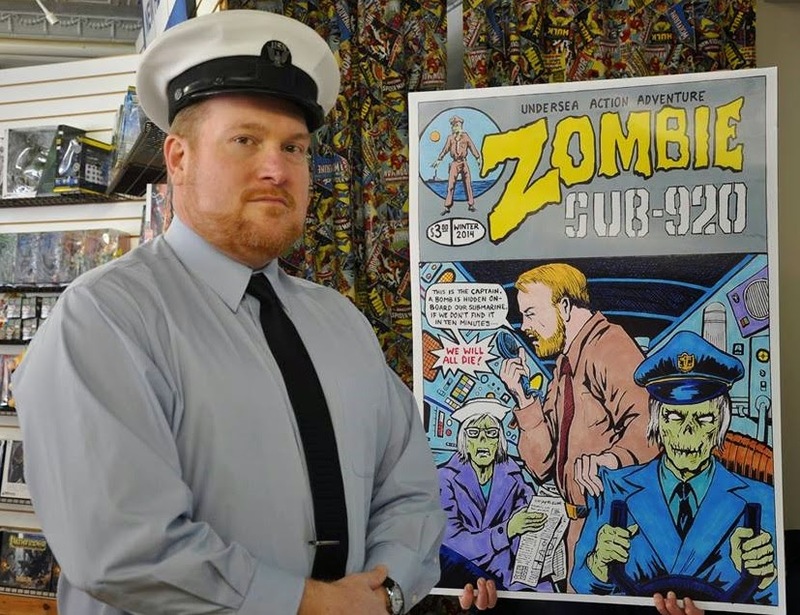 Michael's latest project is his Zombie Sub-920 comic book series. 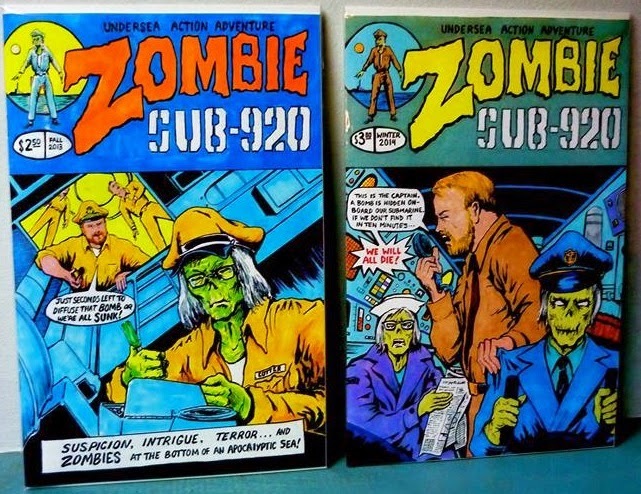 Zombie Sub-920 combines just about everything I love in comics...undersea adventures, zombies, talking apes and aliens! 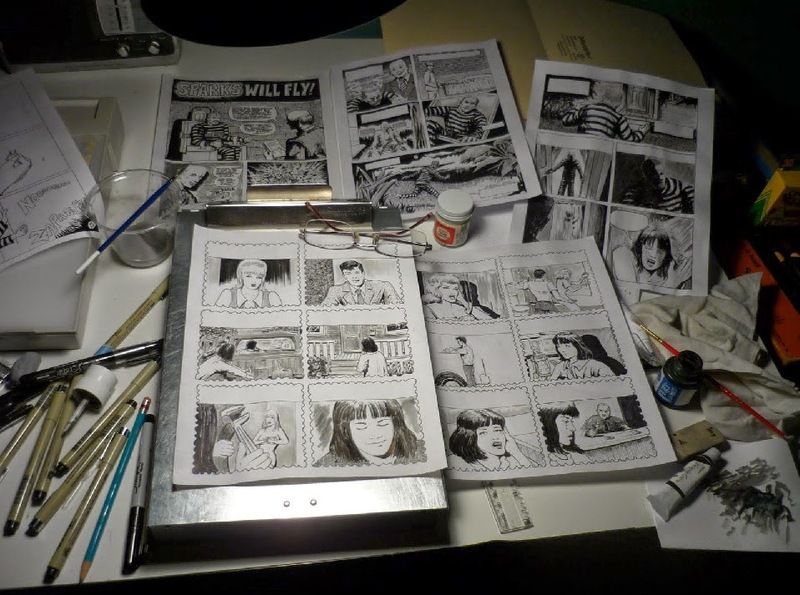 Michael does everything on the book, including writing, drawing, lettering and coloring the whole thing by hand. I recently met Michael and his lovely wife Michelle at a comic show here in Massachusetts and they couldn't have been nicer. 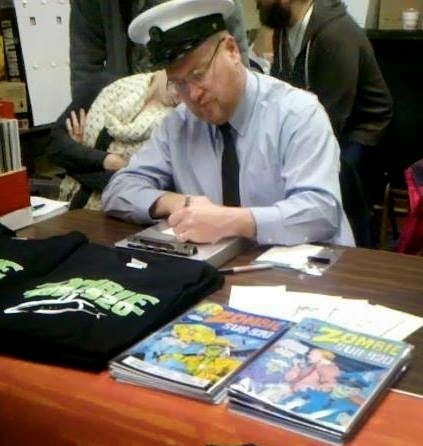 Michael was selling the first two issues of his Zombie Sub-920 and t-shirts, as well as giving away free sketches. 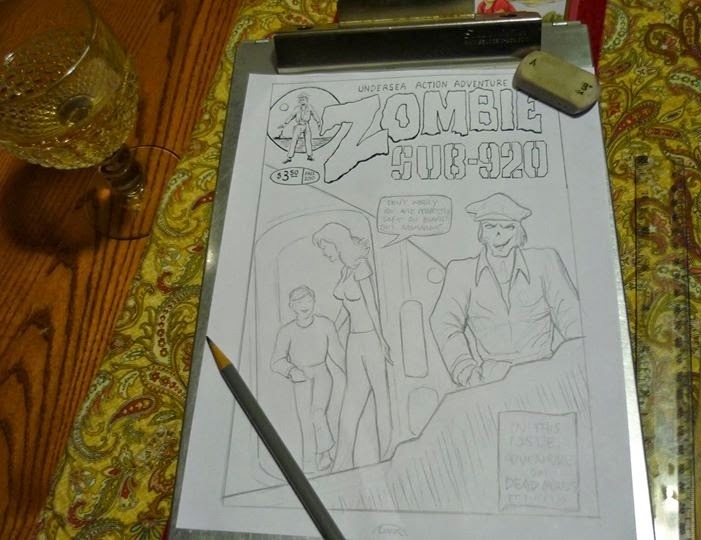 His love of comic art was clearly visible as he even took the time to show me some thumbnails, workups and the cover of issue #3 of Zombie Sub-920 which is in the process of being completed. 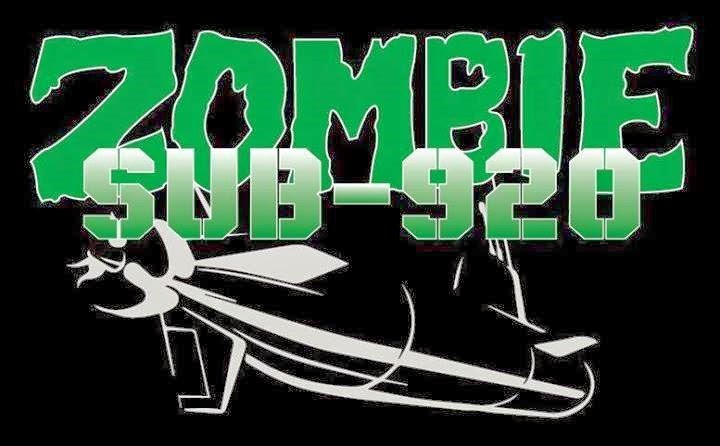 Zombie Sub-920 is a nostalgic flashback to the comics of my youth, and I thoroughly enjoyed it! You can order your own copies by sending Michael an instant message through his Facebook page. 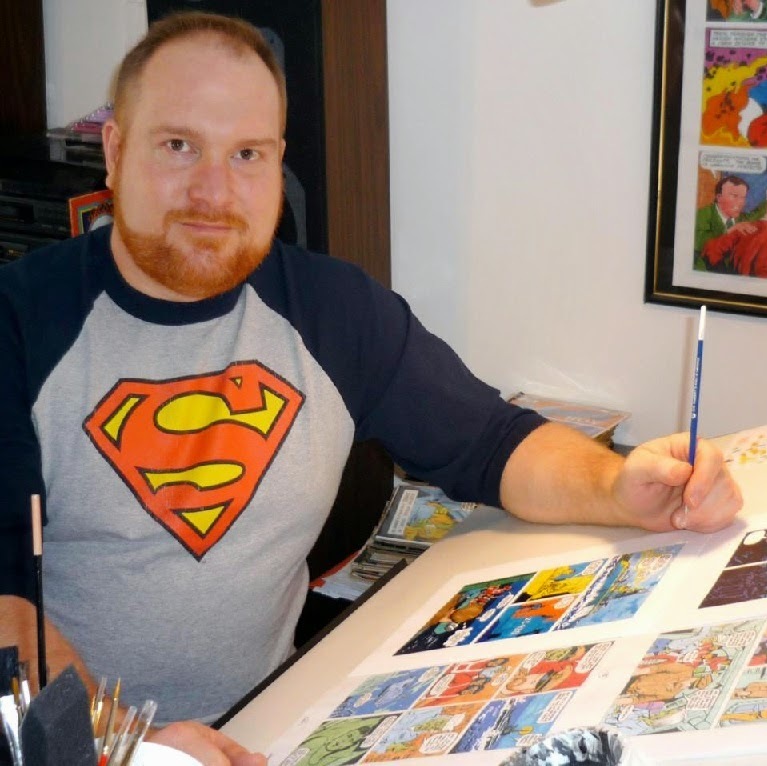 Be sure to visit his new Mitchell Comic Art website which will have a web store coming soon. 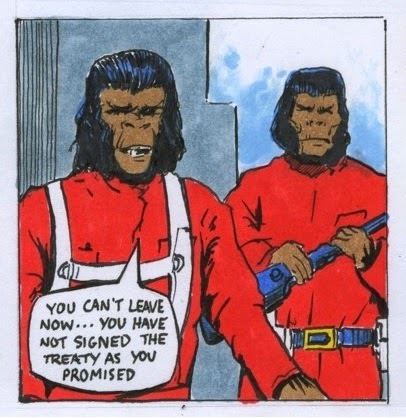 You should also check out the Mitchell Comics blog where you can see much more of his artwork. 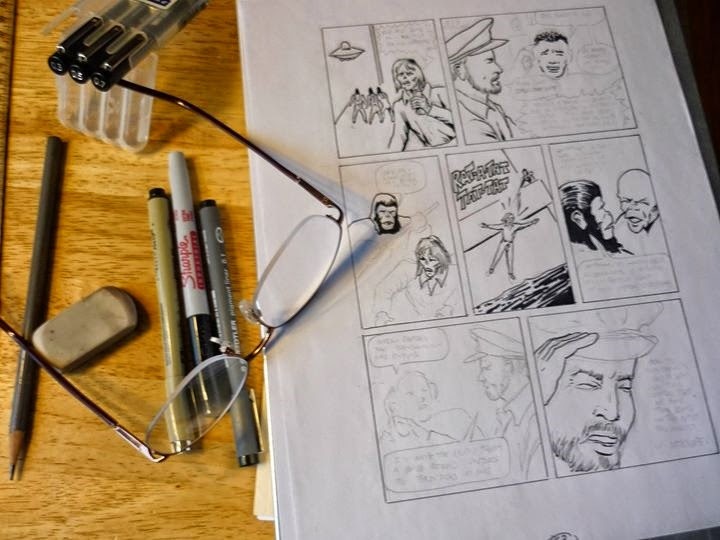 I use Fiber-Microns most often. I've tried some other things, some cheaper, some more expensive. I go through pens fairly quickly so I've found that the microns don't break the bank, and yet they last a good while, so it's as simple as that. 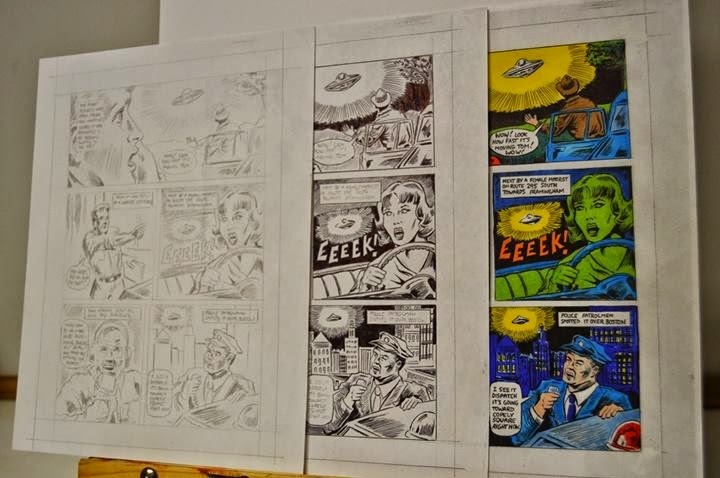 I do outline in pencil always, and usually it is a 4B for outlines. I'm always trying out new ones. 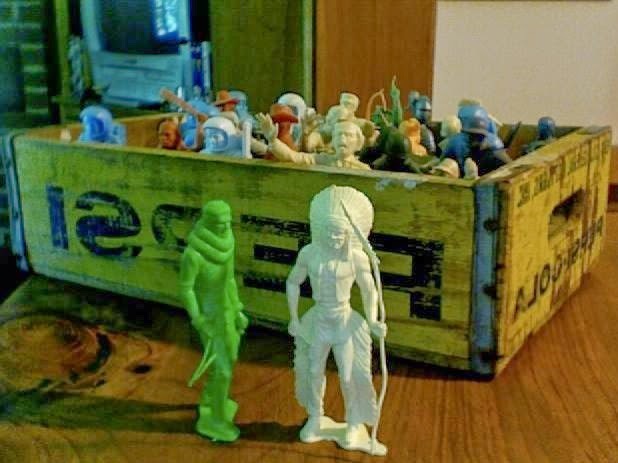 My Mom found a yard sale once where some guy was selling some art supplies he found in the basement of a house he bought. 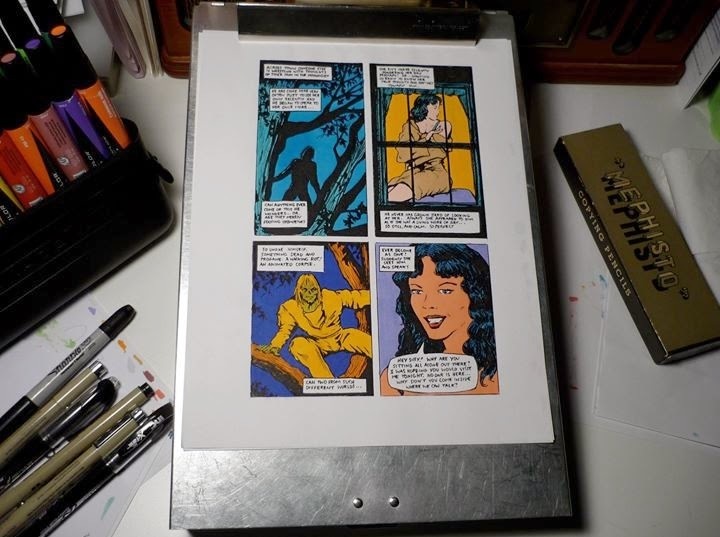 There was a small box of 5 un-sharpened pencils from the 50's called MEPHISTO... I'm using those currently, and I swear to God they are like magic... I'll be sad when those babys are all gone. 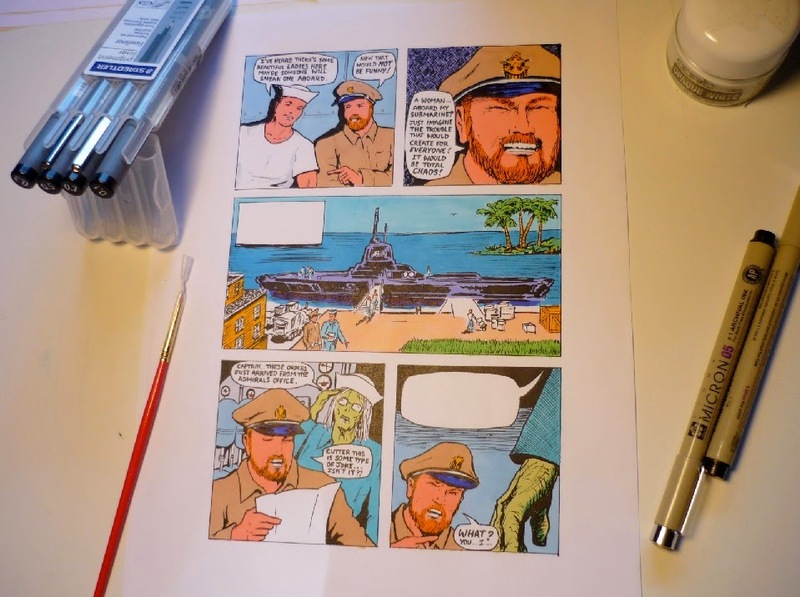 I color entirely by hand. I use art markers... most often I use PRISMA watercolor markers. It really gives my stuff an old school look which is what I'm after, and mostly what I'm known for. 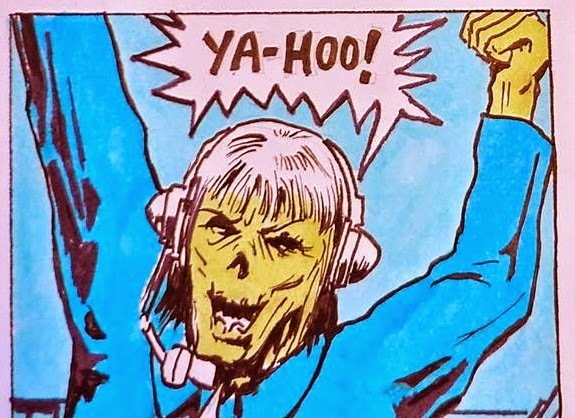 People have seen some of my pages that I just made, and mistaken it for comic pages that were 40-50 years old. Sometimes I breakdown and buy expensive stuff, but I mostly use high quality HAMMERMILL office paper. I'm cheap...haha, and if your real careful you won't smudge, smear or tear it, so why pay $3 a page for stuff you can get for 3 cents a page...right? Ummmm...nothing. Everything is a challenge, and that's the fun of it right? It's all a part of the process, and I love the process... so even though it sounds like a cop-out I really do love it all. If I can't get it any local quality office/art supply store...it probably isn't in my kit. Usually I sacrifice a small household pet, or annoying neighbor children hahaha...no seriously...I work a full time "regular" job so I draw whenever I can squeeze it in. I have to be ready to draw at the drop of a hat, so nope... no rituals. They pay people? 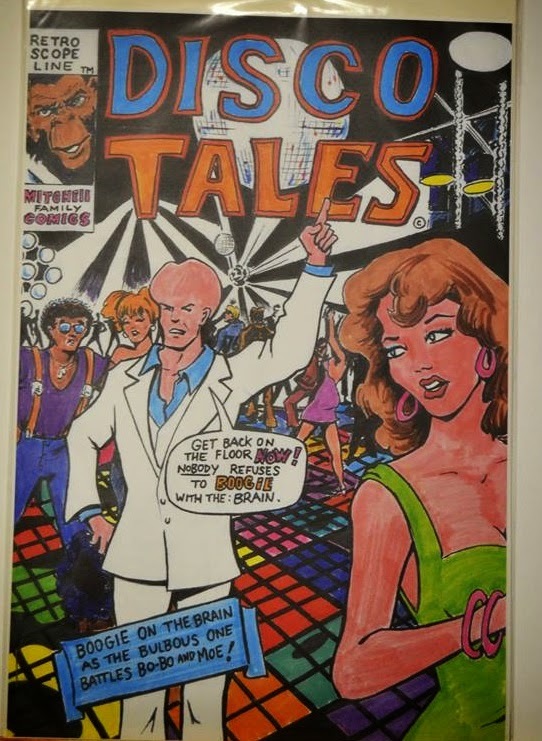 I actually did get my first "real" paying job doing a paperback book cover it was a painting of a guy being attacked by a Mummy. 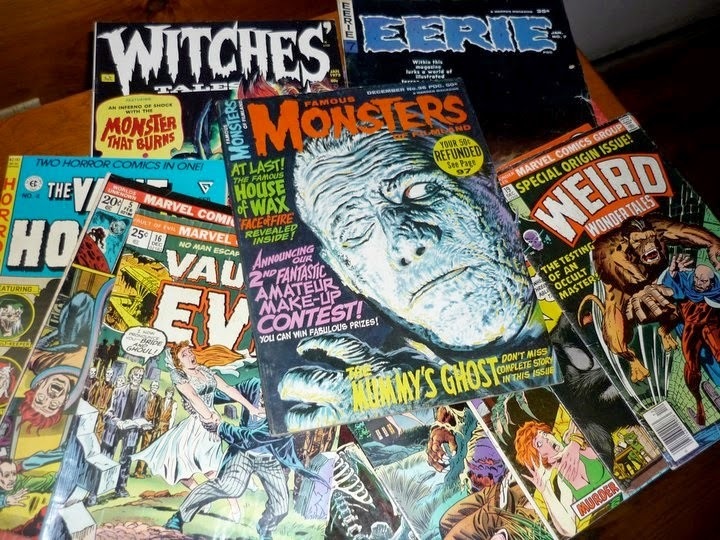 Most often I read MAD, and FAMOUS MONSTERS magazines, but I liked the DC, Marvel, Dell, Charlton, and Gold Key mystery/horror titles too. 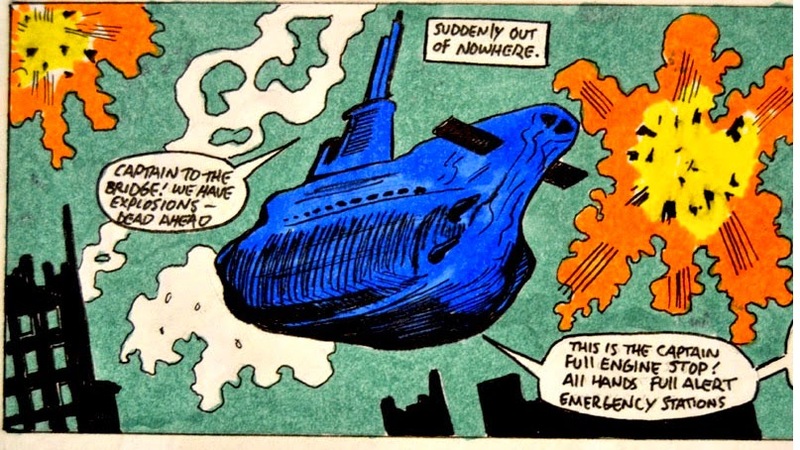 I was not really that big on the super dude books. I don't have any stand-outs really... I have a pretty broad range of stuff I like. Time will tell... 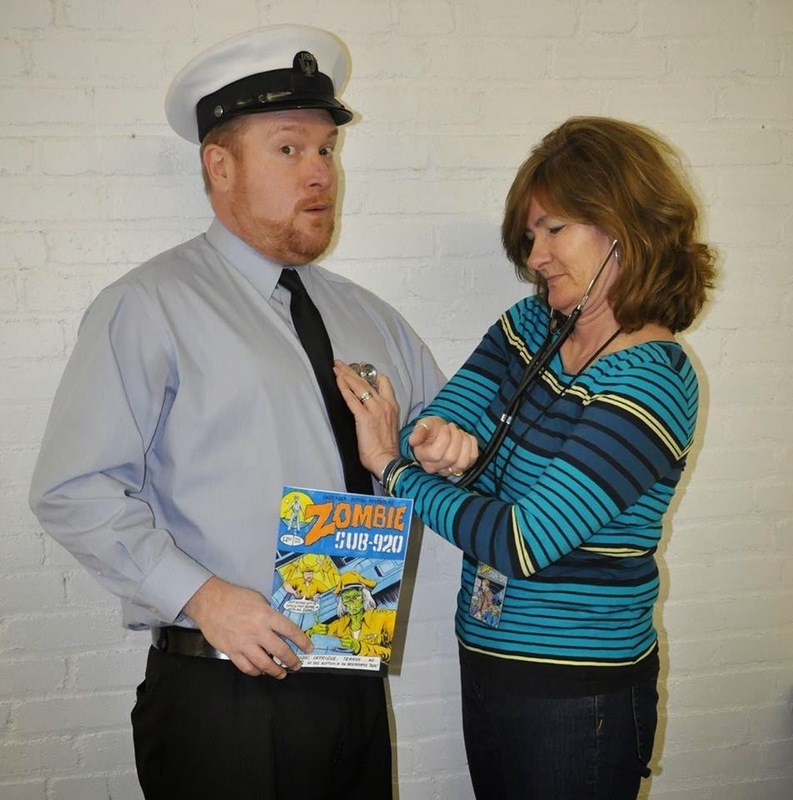 I liken it to the early days of TV... it has its good and bad qualities like everything else. My Mom did some light sketching... she currently likes to paint. My Wife Michelle...she is a constant source of encouragement...she is my #1 fan, my muse, and my source of inspiration often. Nope... 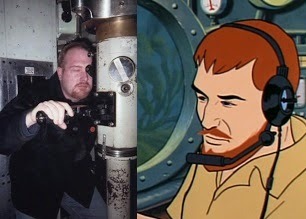 I get right down to it. I feel that doing it every day is the #1 most important thing. I buy any 70's stuff I think looks cool, and that I don't already have. 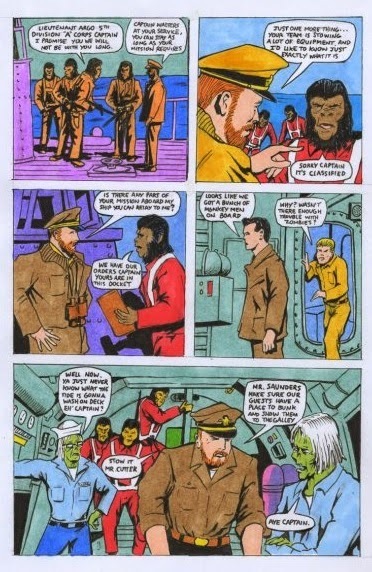 Left man... what are you CRAZY?!? Anywhere... I draw in waiting rooms, buses, trains... anywhere works for me. The guy who loves doing it. Thanks again for taking the time to participate Michael!